Modern Farmhouse Beautifully Restored to its Best! 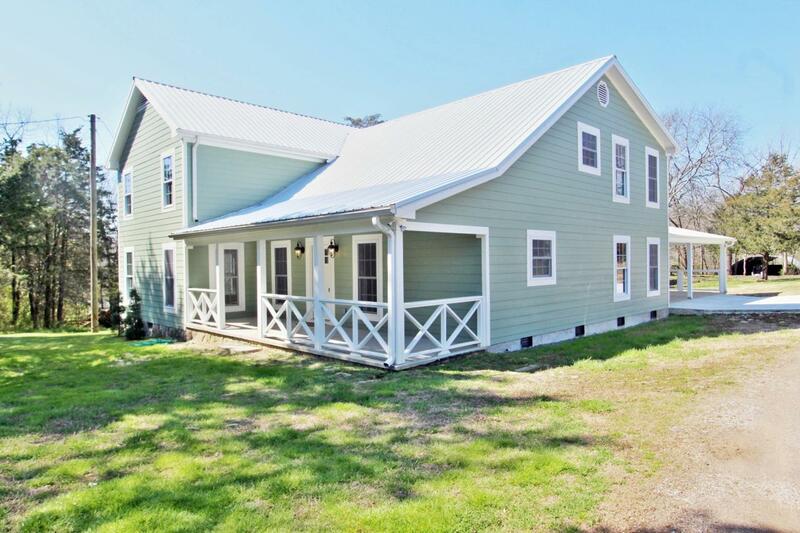 This farmhouse was originally built in 1990 and has now been completely updated and restored! All new Anderson windows, 27 to be exact, eye catching new Galvaloom roof, Hardie siding, new wiring, plumbing, on-demand water heating system, and the list goes on. Don't let this be the first and last time you view this property...With almost 3,200+/-sq ft, 5 bedroom 3 and 1/2 baths, Grand Foyer, hardwood floors, granite countertops, barn, huge storage shed, pond, and pasture with room to roam, its sure to not last long! Fyi, if you want even more land we've got an additional 17+/- acres w/ Crawfish Creek on it that joins the property and is currently available too...FARM, BED-N-BREAKFAST, OR SPECIAL EVENT VENUE, GIVE ME A CALL TO MAKE IT YOURS!Seller working towards getting the property landscaped but is willing to take $5,000.00 off for a buyer that wants to do the landscaping themselves.